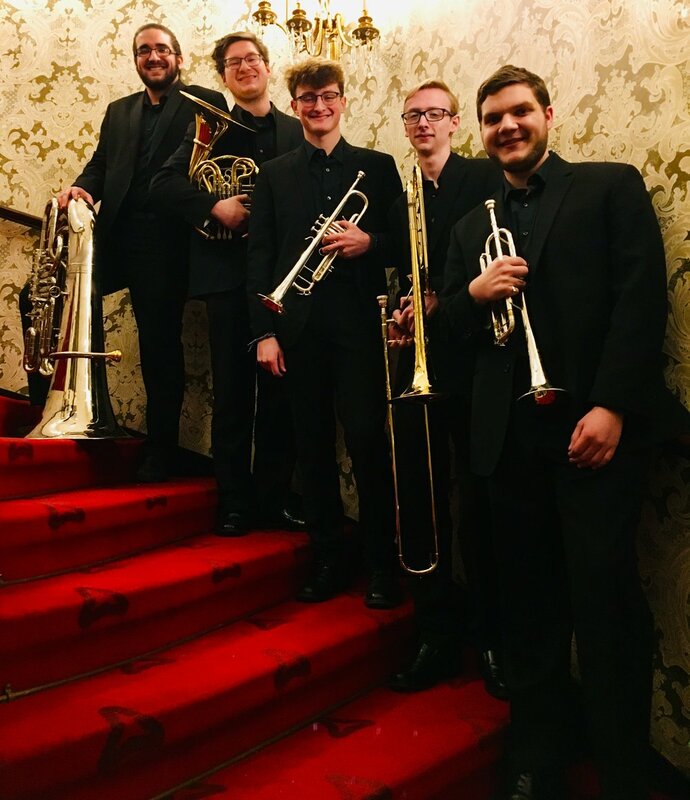 BRAVO to the Monaloh Brass, Aiden, Noah, Connor, Lukas, and Joel, who performed for the sold-out crowd at tonight’s RMU/UPMC Speaker Series at Heinz Hall. Monaloh Brass studied chamber music this year with Robert Lauver, PSO Horn. YC², TRYPO, PYSO members and any other interested young musicians are invited to a special day to rehearse, perform at a nearby pre-school, and prepare for upcoming community outreach performances. To sign up, contact staff@youthchamberconnection.org. 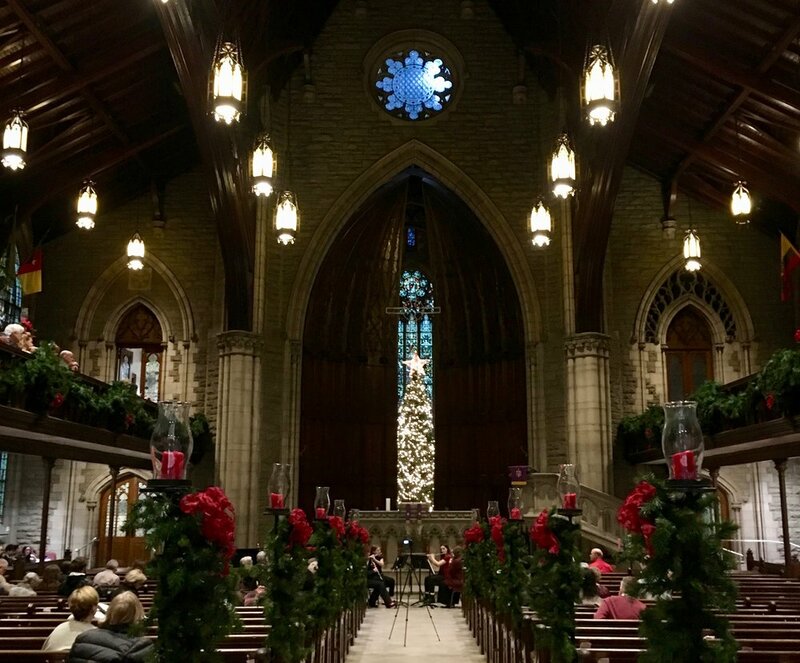 Our nine Sunday chamber groups performed beautiful music in a spectacular setting. Click each photo below to hear their performance! Governor and Mrs. Tom Wolf invited the Orange Accents Quintet to perform at their annual Holiday Open House. 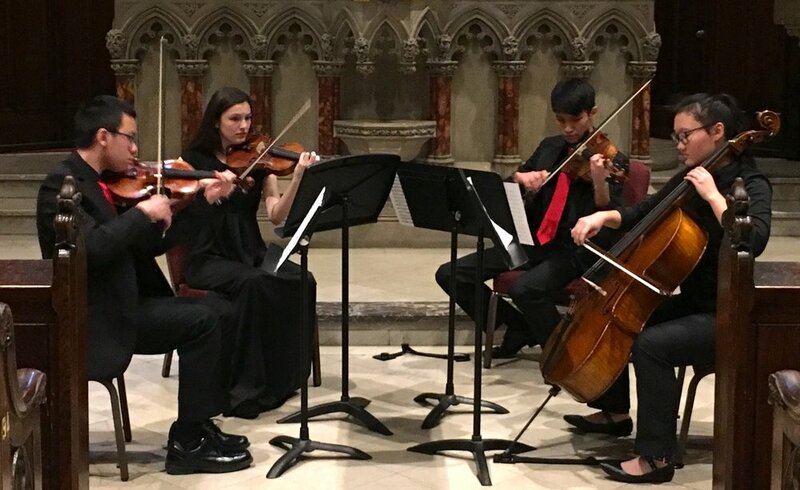 It was a wonderful road trip for this YC² group—Riley, Angelina, Vanessa, Nick, and Kobe—who performed a set of holiday favorites arranged for them by their fabulous coach Stephanie Tretick, a member of the Pittsburgh Symphony Orchestra. The Wild Ginger Quintet—Dinah, Geoffrey, Susan, Brody, and Nathan—performed a quintet by Carl Nielsen for library visitors. 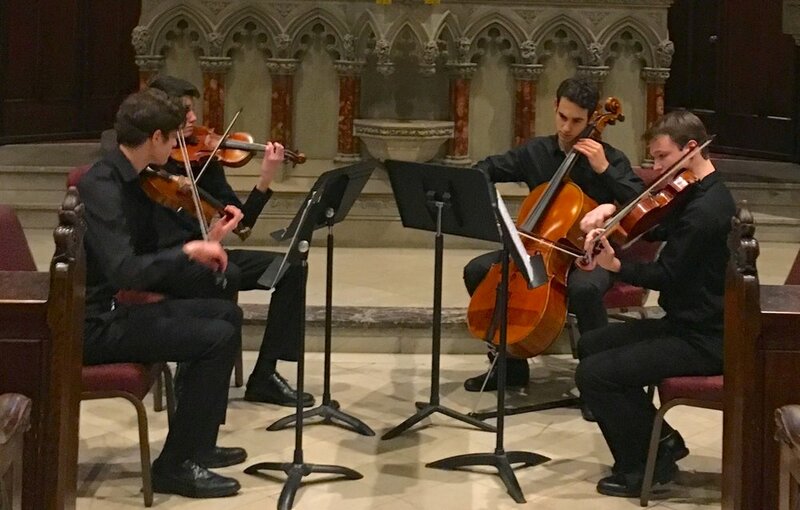 Harry, Hector, Jonah, and Nick—the UpBeat Quartet—performed beautiful movements from the Mendelssohn and Borodin quartets, followed by the Mercurial Trio—Zach, Charlie, and Noah, playing classical music as well. All seven (including two sets of brothers) teamed up to play Chanukah and Christmas classics. The venue is the stunning Mother House at the Sisters of Divine Providence on the campus of LaRoche College. Yunshu, Carolyn, Enoch, and Futen—students at North Allegheny School District and all members or alum of the Pittsburgh Youth Symphony Orchestra—were invited to perform in the lobby before the Pittsburgh Symphony Orchestra’s special Concert for Peace and Unity, to honor the victims of the Tree of Life tragedy. Vivo Quartet is PYSO’s 2018-19 Montgomery Fellowship Quartet. 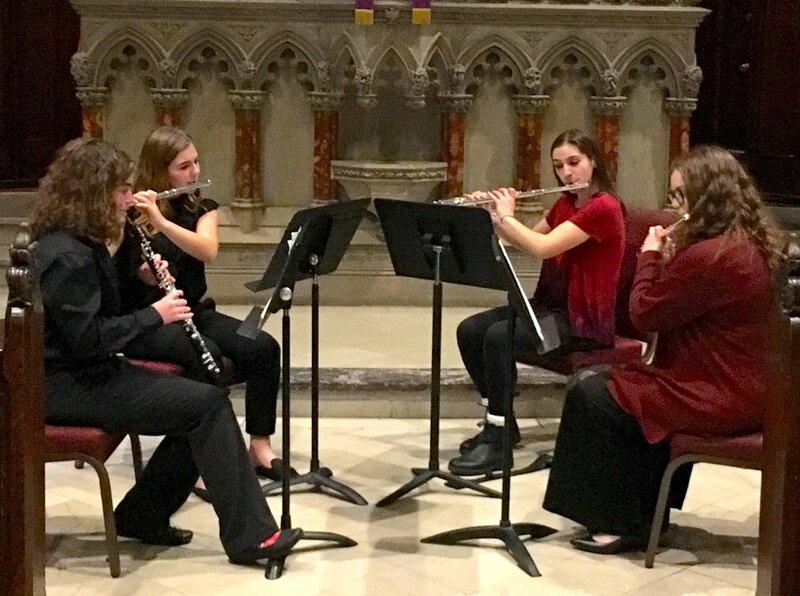 Mei, Maeve, Mirra, and Nora performed classical and holiday music live on television to promote the upcoming Three Rivers Young Peoples Orchestras concert on December 9, and our Holiday Strings performance at PPG Wintergarden December 16. 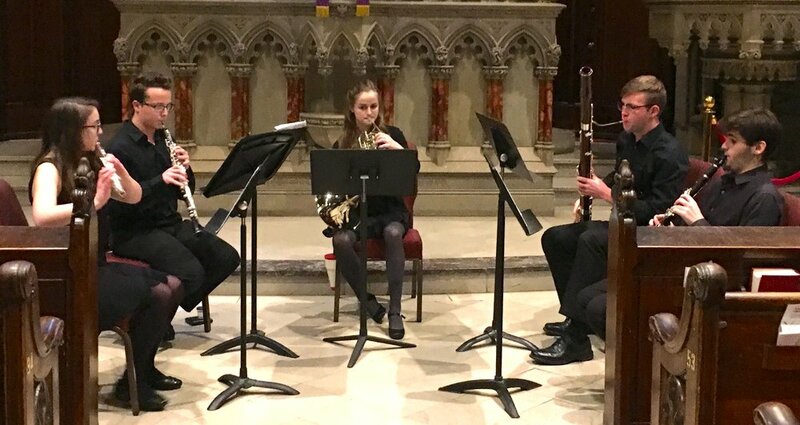 Avery, Becky, Emily, and Zoe have performed as trios all around town in November 2018. 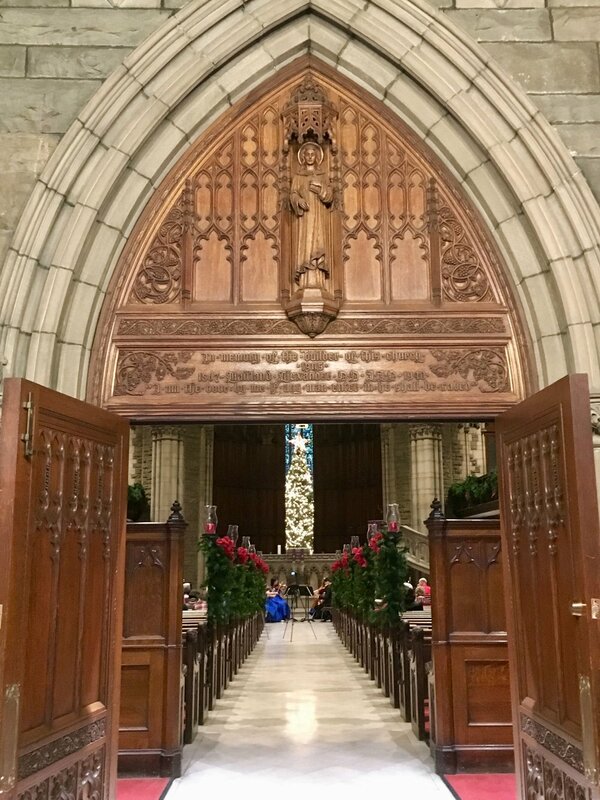 They played for the Friends of the Pittsburgh Symphony in the Regency Room, in the beautiful Heinz Hall foyer before the Pittsburgh Speaker Series lecture by Gloria Steinem, and at the Pittsburgh Symphony Orchestra’s Holiday Home Tour fundraising event. 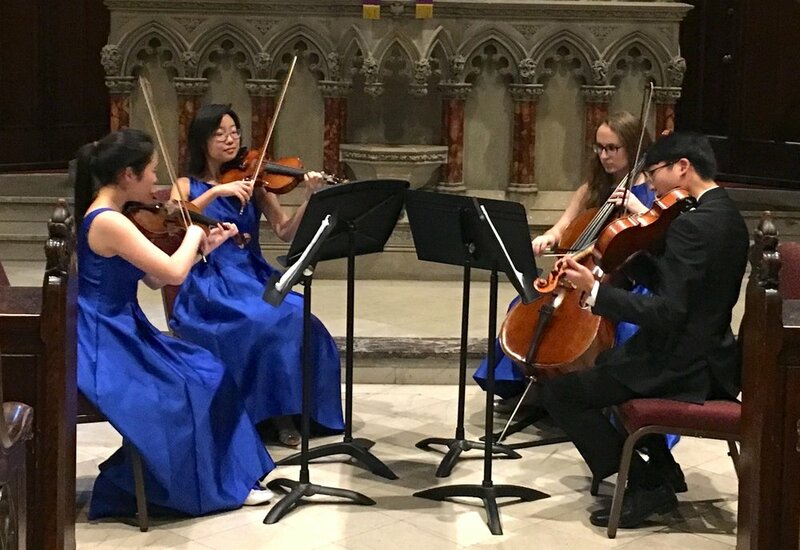 The Heinz Endowments invited the Vivo Quartet to perform during a tribute to the Tree of Life victims at the opening of their conference Courage to Act: Nonprofits and the Call to Moral Leadership. PYSO and TRYPO members Zach, Mei, Noah, and Felix performed Halloween-themed classical music for Heinz Hall’s youngest visitors before the Fiddlesticks Concert. 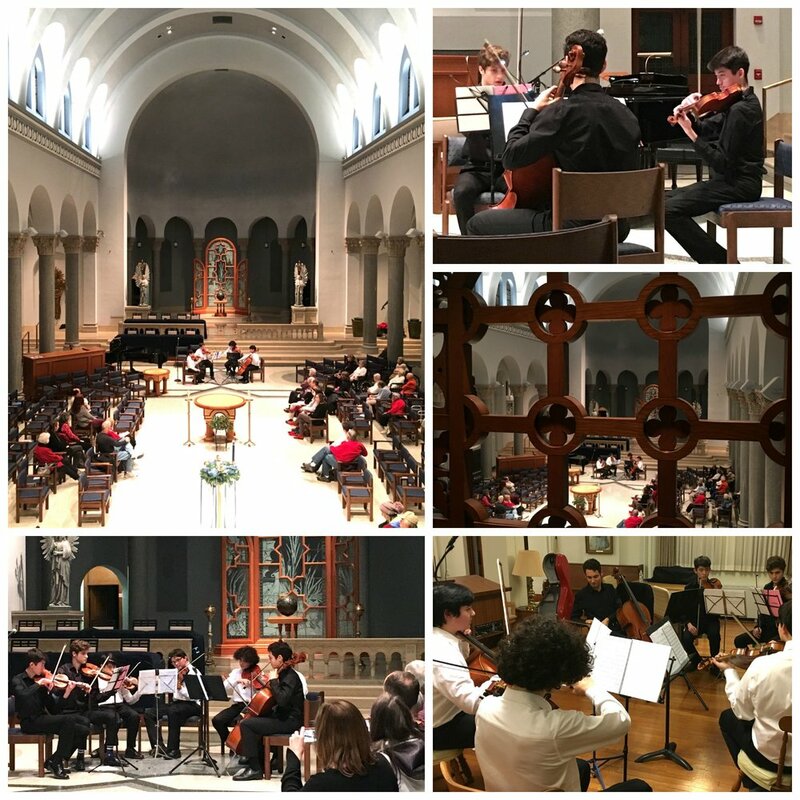 Performances by members of the Pittsburgh Youth Symphony Orchestra and Three Rivers Young Peoples Orchestras! All Ages Welcome! Costume Contest! Free Admission! UPDATE: Due to the events today at Tree of Life Synagogue, this event has been cancelled as Pittsburgh mourns this senseless and horrific tragedy. 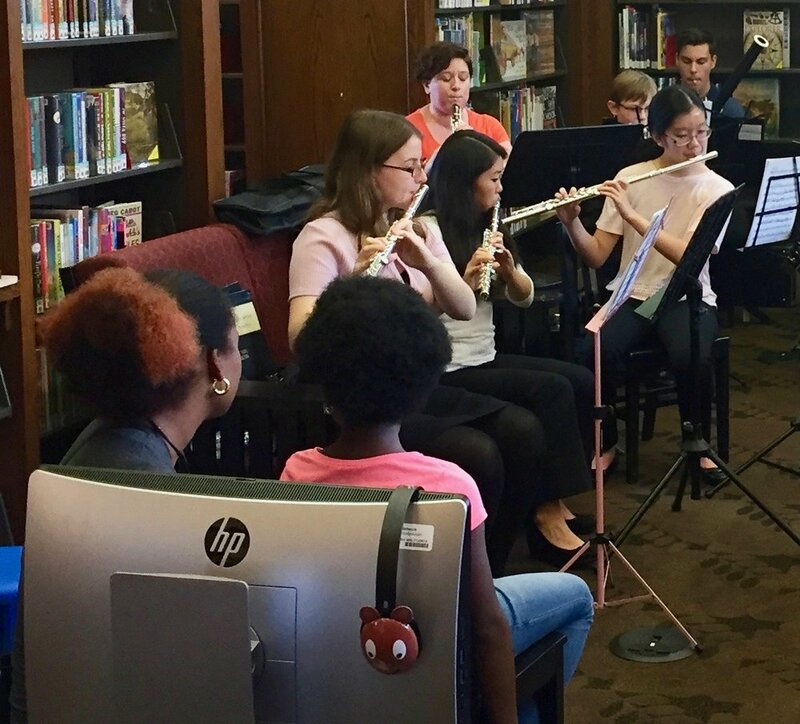 This performance series is a collaboration between Three Rivers Young Peoples Orchestras (TRYPO), YC², and the Carnegie Library of Pittsburgh in celebration of Radical Days! 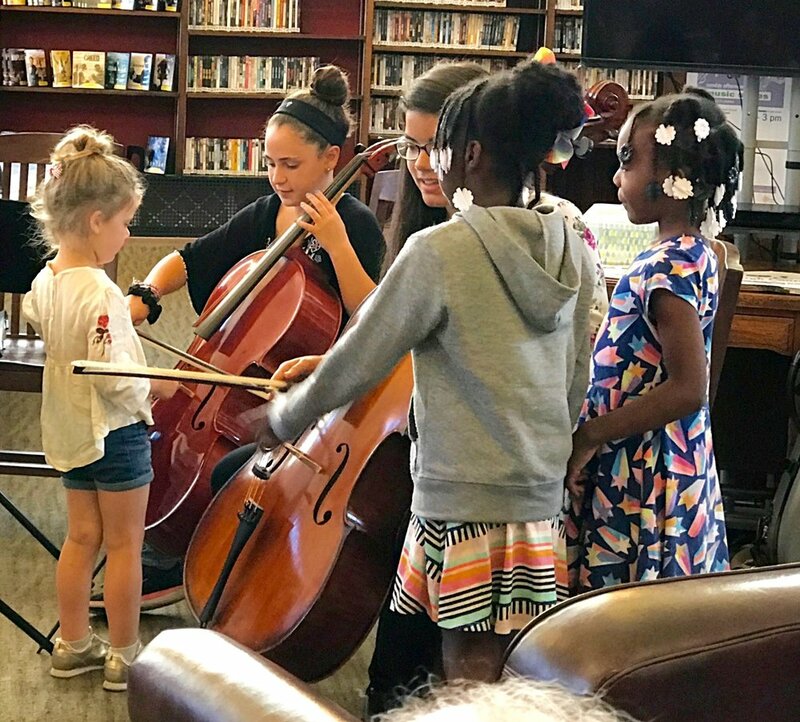 This performance series is a collaboration between the Pittsburgh Youth Symphony Orchestra (PYSO), YC², and the Carnegie Library of Pittsburgh in celebration of Radical Days! 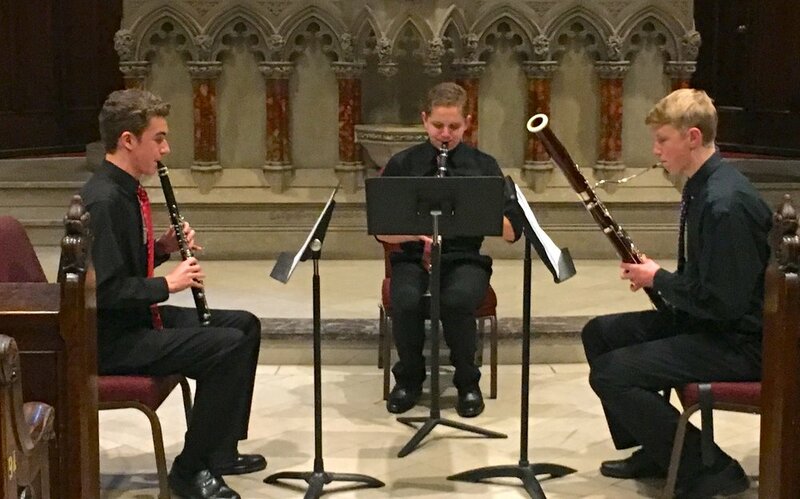 Join us for a dessert reception afterward, organized by parents of the musicians to say Thank You to the students’ wonderful coaches from the Pittsburgh Symphony Orchestra!